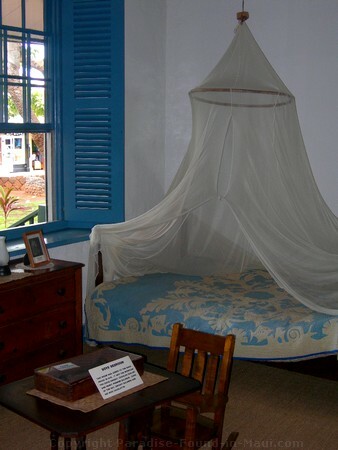 A visit to the historic Baldwin Home Museum on Front Street, Lahaina, is an interesting (and inexpensive!) 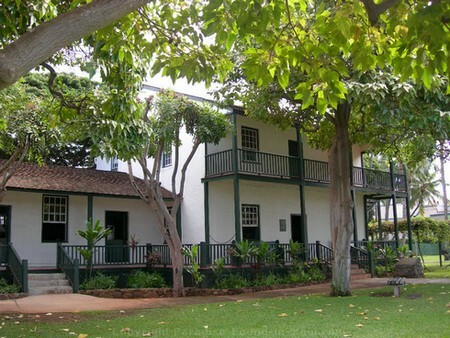 way to get a glimpse into colonial missionary life on Maui. 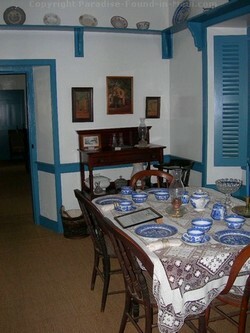 The Baldwin House was built for the Reverend Dwight Baldwin, who also happened to be a Harvard-educated physician. 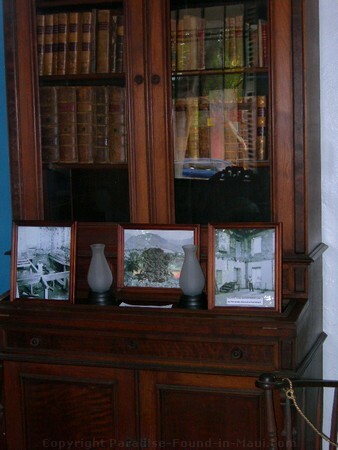 Dr. Baldwin and his wife raised six children here, treated patients and even entertained ship captains and Hawaiian royalty in this beautiful home. The home's construction was started in 1834, and completed the following year - I love to see to see historic buildings as old as this one restored to all of their former glory. 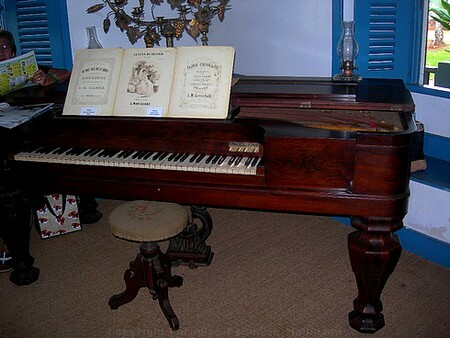 It's even better in a case like this when the original furniture and decor is available to see also! One of the things that made our visit to this Front Street, Lahaina, attraction extra special was the costumed volunteers. They were happy to answer our questions and tell us interesting historical details about the Baldwin family, the artifacts, and the home itself. They are open daily from 10 a.m. until 4 p.m. They also offer candle lit tours on Fridays from 6 - 8:30 p.m.
At the time of our visit, admission to the Baldwin House was very affordable: only $3 for general admission or $5 per couple. Children aged 12 and under were free if accompanied by and adult. Candle Lit Tours cost only $4 general admission or $6 per couple. 1. 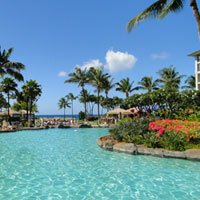 50% off and 2-for-1 coupons for Maui attractions, activities, restaurants and more! 2. 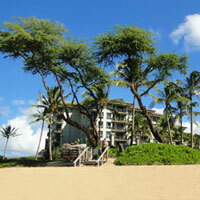 LOW-PRICE guarantee on activities, tours, and more! On the last Thursday of every month, they host the Hawaiian Music Series, a FREE concert under the stars. 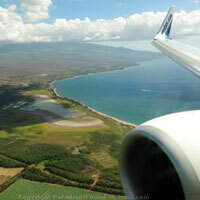 Click here for more info on this, and other recurring Maui events and festivals! 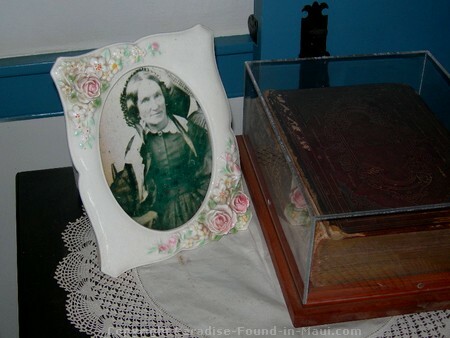 The Baldwin Home Museum is super easy to find! If you walk down Front Street, Lahaina, towards the harbour, you can't miss it - it's located at the corner of Dickenson Street and Front Street.